Edinburg - Esperanza V. Guerrero, 81, entered eternal rest on Friday January 25, 2019 at Edinburg Regional Medical Center. She was born on Friday, August 27, 1937 in McAllen, the daughter of Ignacio and Andrea (Zamora) Vela. She was a resident of McAllen for most of her life. 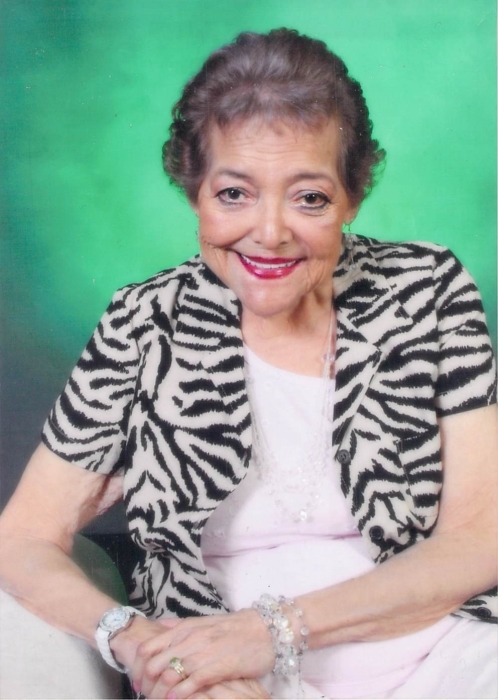 Esperanza had worked as a Nurse for more than 30 years. She enjoyed playing the piano, singing and playing Bingo. She is preceded in death by her husband: Jose G. Guerrero and her parents. She is survived by her children: Javier G. (Mary E.) Guerrero, Jose I. (Alma) Guerrero, Alfonso Guerrero, Ludivina "Ludy" G. (Richard) Norris, Patrick (Esmer) Guerrero, Samuel Guerrero and Esperanza "Hope" I. Guerrero (Rene Trevizo); 14 grandchildren and 11 great-grandchildren.